Tax-free income may not always leave you enough to save or send back home unless you know how to live carefully amidst a lot of expenses. 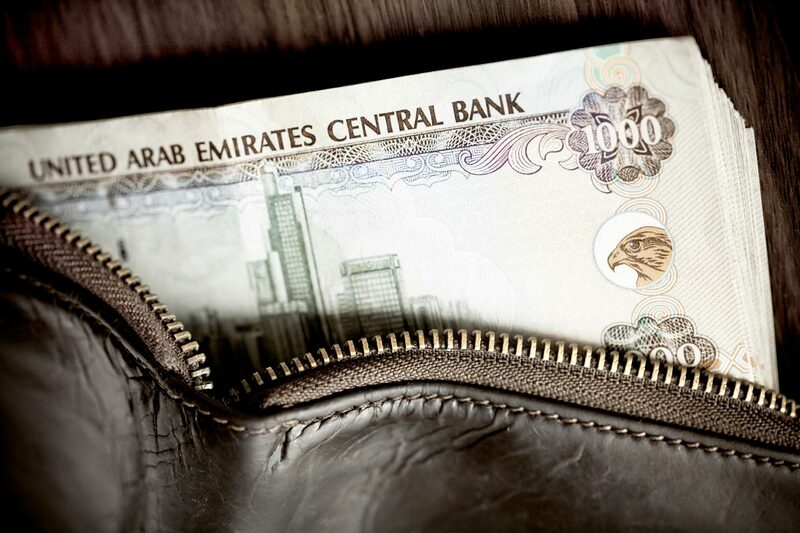 Here are the ways in which we tried to budget monthly income - and while it may differe a little bit based on individual needs - the overall principles should stand true for most UAE residents. Many expats find saving money one of the hardest things to do. The best way to save is as soon as you receive your income transfer a portion to a savings account. Most banks have the option to automatically transfer a set figure of your income into a saving scheme established within your account. At least 40 per cent of our income in Dubai goes towards rent and utilities. If you are paying more than this, you might need to reconsider your living arrangements. Studios and one-bedroom apartments are the most common living choices for smaller families while bachelors tend to opt for shared accommodation, which in some cases can be over-crowded and illegal. Read our guide to 7 areas in Dubai with the cheapest rents. Owning a car in Dubai is easier and more affordable than some countries. However when you add parking charges, maintenance, and traffic jams, taking a car everywhere might not be the best option. The metro connects most areas of the city and this is often a sensible choice once you compare the fuel, parking and time costs. Read our ultimate Dubai parking guide here. If you use the car a lot, consider taking RTA parking cards instead of temporary vouchers. You do not need to have more than one credit card. The more credit cards you have, the more the 'false' sense of purchasing power. Paying back your 'minimum amount outstanding' on credit card bills can mean almost 70-80 per cent in financial service fees charged by the banks, bringing no reduction to the principal amount. For example, for many banks, even if you have just Dh100 pending on your bill statement, they charge 2 per cent of your credit limit as fees. If your credit limit is Dh15,000, that fee comes up to Dh300 which is three times your actual outstanding balance. Use cash or your debit cards wherever possible which will put a limit on how much you can purchase. If you use a credit card solely for regular shopping like groceries, automate complete repayment in the same month. Request from your bank a lifetime-free credit card which has no annual renewal fees. Lunch from your company canteen and nearby restaurants is not necessary if you can whip up a cold salad of vegetables and chicken, eggs or fish for lunch. Cook dinner at home and take the leftovers for lunch the following day. Staying healthy on a tight budget can be done with right choices. The options are easy and endless. Expat bachelors can opt for pre-set meals where a hotel or restaurant offers breakfast and lunch meals daily for discounted monthly rates. An average rate for 'lunch and dinner' meal plans by hotels in Karama and Bur Dubai comes at around Dh250-Dh300 per month. The best time to cook is the weekend, keeping food frozen which can then be heated up as and when required during the week. With the variety of dining options available in Dubai, it is easy to order in or dine out every single day. This will significantly add to your monthly food expenses as well as your quota of weight and health related issues. Try local eateries which offer great food at reasonable prices. A lot of grocery shops and supermarkets have offers running at some time or another. Get a shopping card for your nearest supermarket which is free and will give you access to great deals. Buy your fish from the local fish markets rather than supermarkets to get fresh produce at great rates. There are certain sale days over the week for different food groups, such as fruits, meat and poultry, grains etc., at some super markets. You can cover your food shopping expenses with not more than 15 per cent of your monthly income. School fees continue to be one of the biggest expenses for many residents. In some cases, expats leave their children in their home countries to save on school fees. Fees can range from Dh12,000 to more than Dh100,000 on an annual basis across various grades and curriculums. Most families go on their vacations as per school schedules while new parents, couples and bachelors have no such restriction. Most ticketing websites offer seasonal promotions or limited deals which you can take advantage of in case you don't have a fixed vacation plan every year. Plan your vacations well in advance and fly on non-peak days of the week. We have found Tuesdays to be cheaper than the rest.Try changing your landing/departure destination in the UAE to avail better deals. Making every purchase with a question of needing versus wanting can help control impulse shopping to a great extent. While this should be the case, an occasional shopping treat is an indulgence everyone deserves. Do not whip out your credit card for un-planned purchases. Walk into any store or shop with an idea of what you intend to buy and if something catches your eye, always choose what you need over what you want.